The true purpose of our web site has been to provide facts and information pertaining to our ongoing struggle to deal with the intentional seeding and mechanical harvesting of “cultivated” rice in our Federal waterways. It has never been our mission to provide a forum for derogatory comments or misinformed notions about the situation at hand and understandably emotions have run high. In the interest of a harmonious community, and the true spirit of working together to find solutions we are suspending the comment section of this website. We appreciate the suggestions and support you have given to Save Pigeon Lake. We need to continue to build our base of supporters and request that you continue to let your neighbours and friends know of the Save Pigeon Lake initiative. 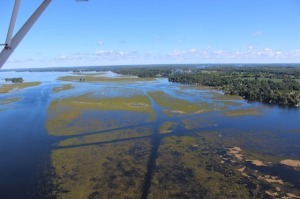 This initiative has grown beyond just Pigeon Lake as the Intentional Seeding of new rice beds has admittedly been taking place in other Federal lakes within the Trent Severn waterways. This is now a concern for all Canadians who have enjoyed these waters.